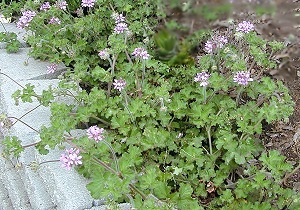 True Capitatum is not a very glamorous name for such a gorgeous plant. 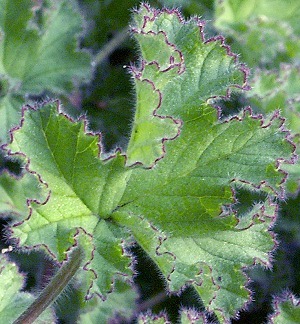 This plant makes a great summertime ground cover or patio hanging basket. 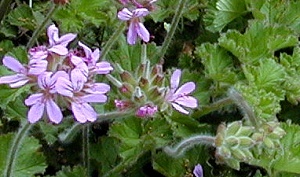 The flowers are a medium purple and the leaves have a pleasant rose scent, and are dark green and fuzzy. As you can see in the photo, it works well as a wall softener too.